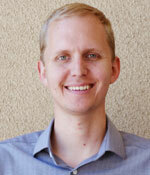 Matt Henkel was born and raised in Albuquerque and earned his Management of Information Systems degree from UNM's Anderson School of Management. Prior to completing his degree and joining Arts & Sciences, Matt worked at an IT services firm in the small business sector, specializing in Windows and Dell systems. Matt spends his free time on his ongoing house renovations, reading, and dirt biking.